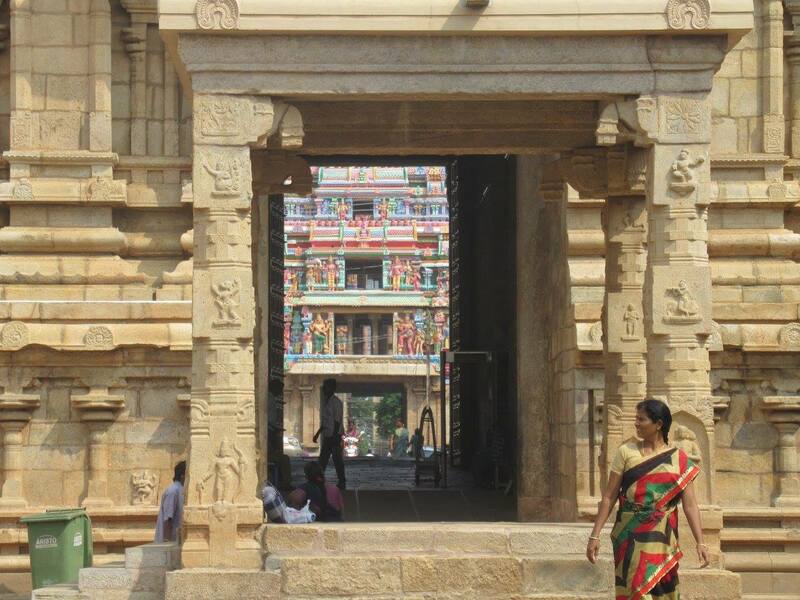 South India in 15 days – Always Look Back ! After a first week full of surprises, I arrived from Mysore in Kochi, recommended by all the guides as a very interesting city. 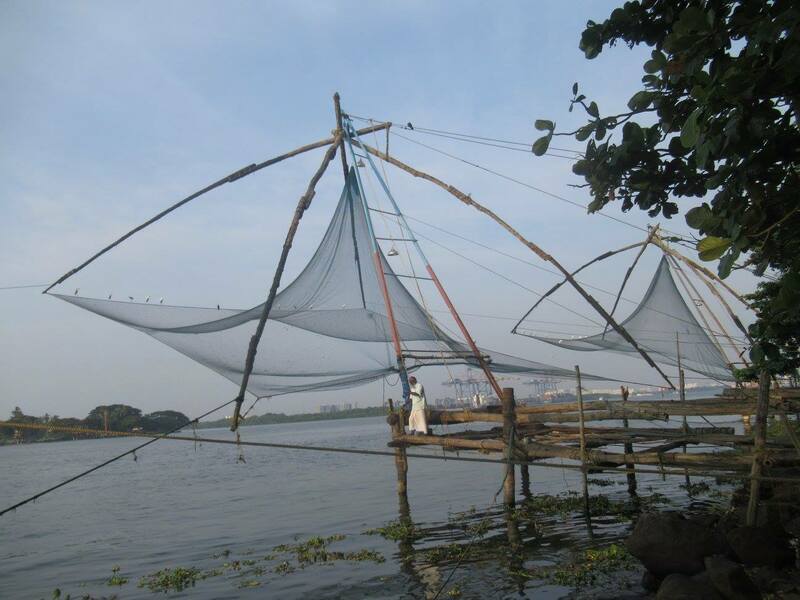 Well I haven’t found the great interest, it’s a nice small city but without any big activity to do, you will see in a half day the chinese fisher nests, and can also enjoy a Kathakali dance show during the night. 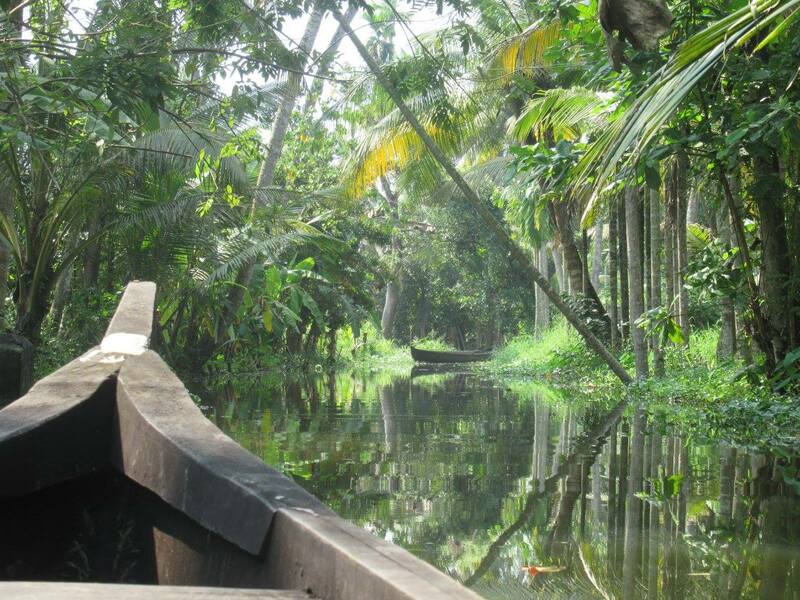 Right after the half day trekking I took an other bus to go back to the coast in Alleppey and its great backwaters. After 3 buses and 6 hours I finally arrived in an hotel I found on Hostelworld and definitly recommend : Sea Shore hotel, in front of the beach. The owner there, Faizal, will treat you like a part of her family. She arranged me a nice ayurvedic massage for the day after, and I also booked a full day tour in the backwaters through a friend I met in Hampi. We passed the day between frenchies enjoying the peacefull canals and passing through the fishers’ villages. After 3 nights there I took a night bus to Madurai. It was an experience ! I made the mistake not book in advanced my sleeper place, so I finished in the general indian wagon, trying to sleep with a fully booked train ! I finally arrived safe in my destination : Madurai. It wasn’t my plan to go back to a big city, but I made a small break there to check the temple and took back the train for Trichy. Arrived at night, I just found an expensive hotel (but with wifi and breakfast) and went to discover the city with a local bus the day after. 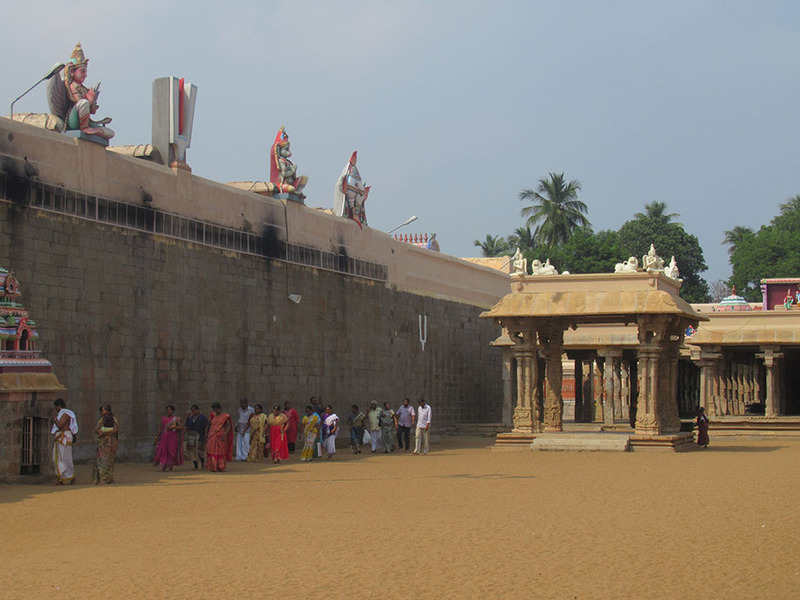 I visited the Rockfort temple, on top of the hill, and the huge Sri Rangam temple. The third one, Sri Jambukeshwara temple, was in construction so I skept it. 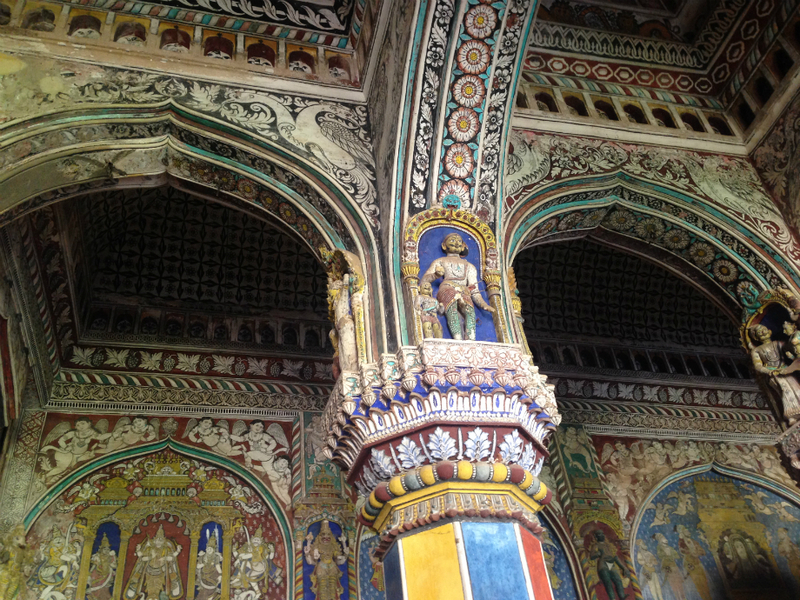 At 3pm I was back in my hotel, and took a local bus to Thanjavur and found a cheap hotel to stay in, without wifi and with a massive cucaracha fight during the night… Anyway the day after I visited in the morning the Big Temple and the Palace and its museum (totally don’t worth the price). 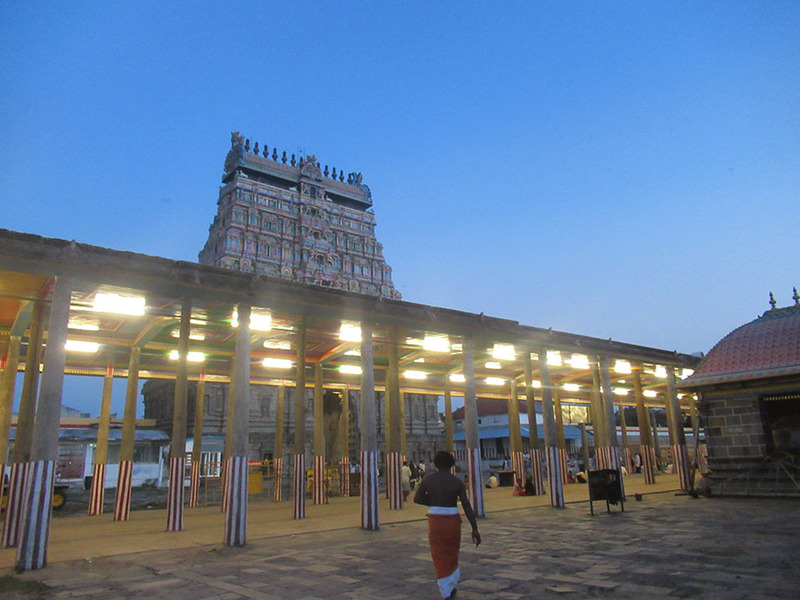 By noun I took a local bus to Chidambaram, passing by Kumbakonam (5h total) and enjoyed the sunset in the gorgeous Sri Natajara temple. Second biggest city in Tamil Nadu (after Chennai), Madurai is famous for its huge Mînâkshî temple (closed between 1pm and 3pm). 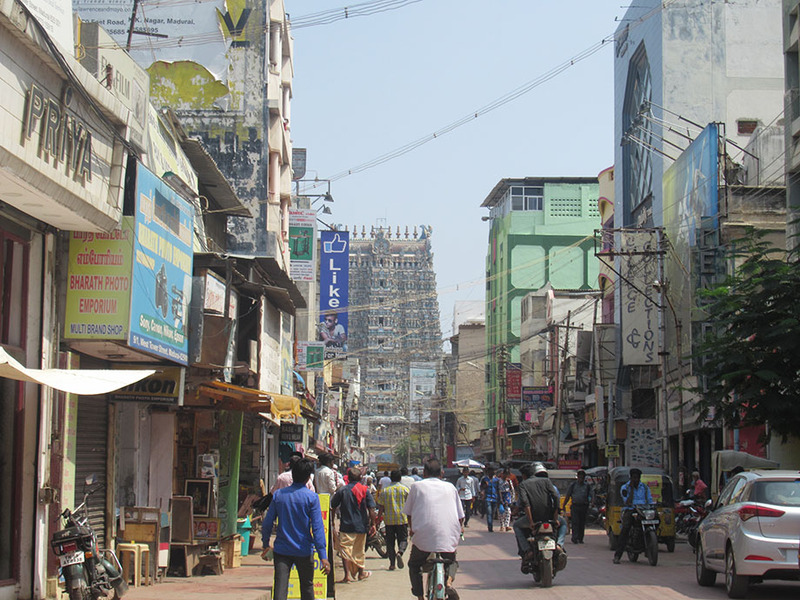 Situated in Trichy, also called Tiruchirappalli, the entrance steps are hidden behind a huge bazar. 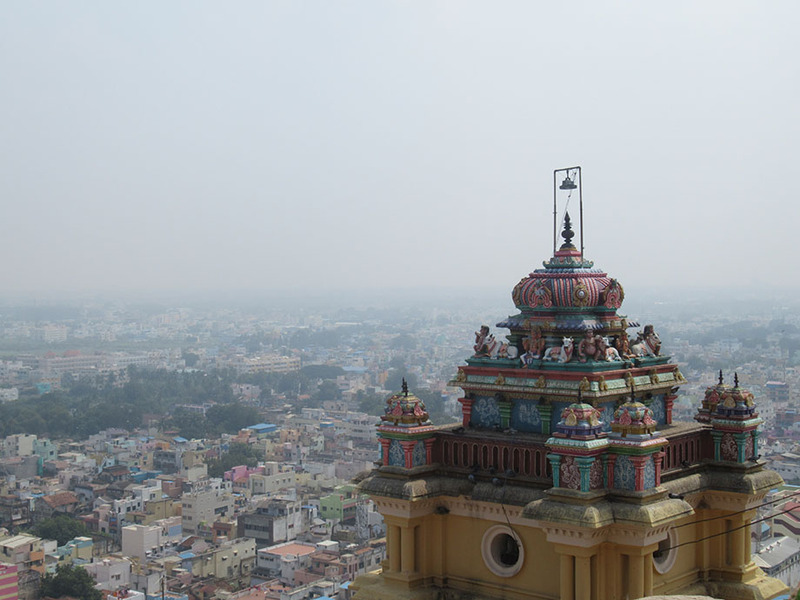 Also in Tiruchirappalli (Trichy), this temple is the cloudest I’ve visited, you’ll discover an entire city inside, very impressive! 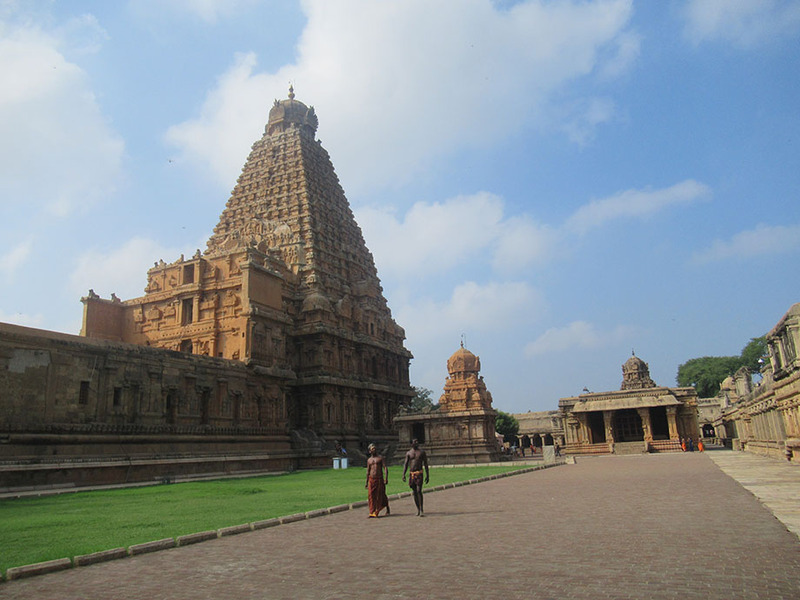 In Thanjavur (or Tanjore) this amazing stone temple is also called Râjarâjeshvaram. It hasn’t the paintings as a lot of temples in Tamil Nadu, but is really amazing and with a main limestone cow as main statue! Expensive price for a basic castle, which the main attraction is the small museum and the colourfull Durbar Hall. The access to the other parts – including the belltower – were closed. Dedicated to Shiva as the king of the dance, this last temple I’ve visited in Chidambaram is really amazing, full of colours, music, and nice people! The day after I took a bus to Pondicherry where I found a very nice old colonial center. The streets are quiet and full of (expensive) shops and restaurants. You also have a nice bay walking way, and a muslim quarter with a nice Mosquee and market! 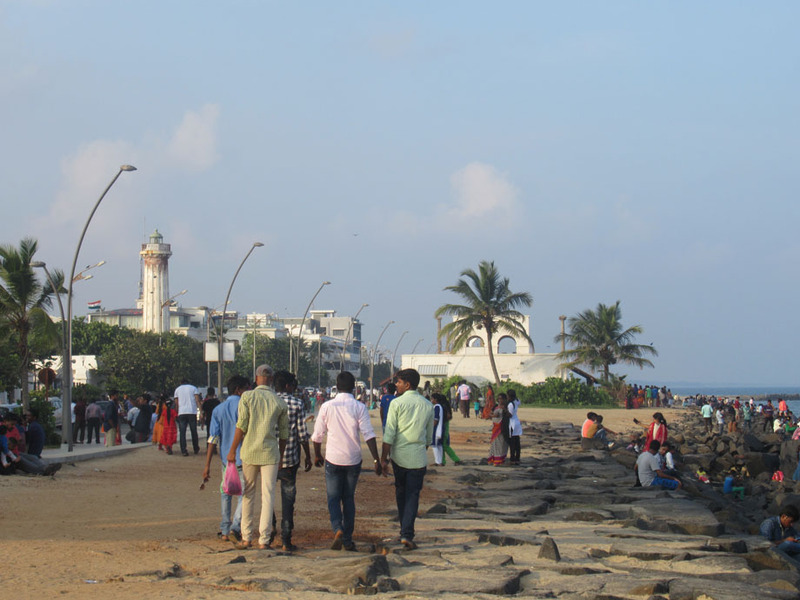 I really appreciated this city, maybe because it reminds me the colonial streets of Panama, or maybe because it was full of french restaurants… After one night there I took the direction of my last real stop: Mahabalipuram. 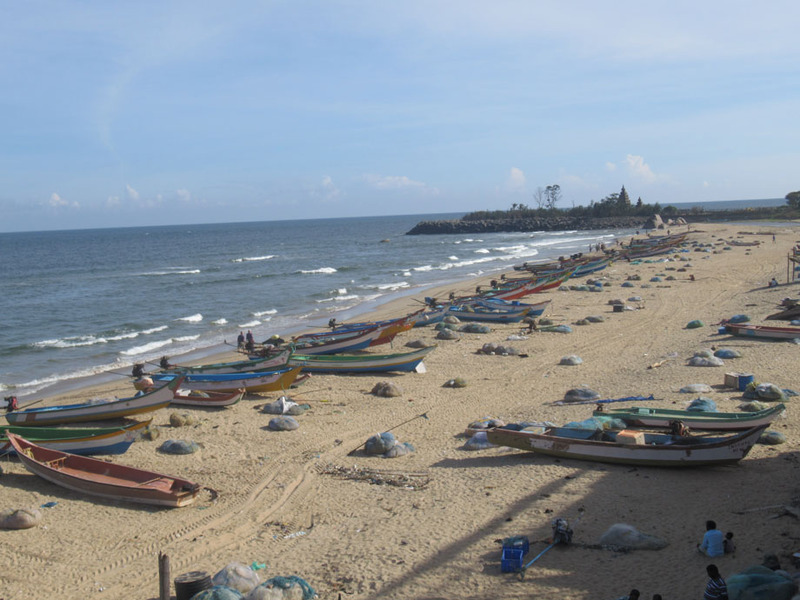 Mahabalipuram, or Mamallapuram is a small seaside town where you can enjoy nice restaurants or hotels on the beach (with a great sunrise if you’re courageous to wake up), with a nice temple at its end! Behind the local bus station you will also discover a huge archeological site full of temples and with the famous Descent of Ganges‘ rock relief (also called Arjuna’s Penance). The city doesn’t have much more to offer, the streets and beach are quite messies, but I must recognize I was there more here to take rest, enjoy the sun, read and write, than going more far in the visits… (I heard you have a nice Tiger cave 6km in the North, or an other temple on a hill at 15km in the west). I preferred to stay and take force for my last journey in India, and not least: Chennai to Kolkata, a 29 hours train journey!